Searching for a Holiday Cottage in Lancashire, North West England? Lancashire with its wonderful greenery is a fantastic part of North West England for a relaxing cottage break with friends or family. This area is probably best known for the lively seaside resort of Blackpool, which many visit for summer self catering holidays. Attractive as the bright lights of Blackpool are, there is lots more to Lancashire than stag and hen weekends or seaside breaks. In the heart of rural Lancashire there are hidden holiday gems such as quaint villages and fantastic country walks. Or how about a visit to the historical city of Lancaster? With its fascinating medieval castle which stands high on a hilltop, this is a charming city. For a start, Lancashire is home to stunning countryside, which is good news if you are searching for a country cottage and that peaceful break of a week or more. The Forest of Bowland in Lancashire has been declared an area of outstanding natural beauty and attracts many keen walkers and cyclists. There are many pretty villages dotted around the Forest of Bowland including Hurst Green, Barley and Downham. Don't miss the city of Lancaster with its rich history and the surrounding Lune Valley. Lancashire also has a scenic coastline with picturesque seaside villages such as Arnside and Silverdale in Morecombe Bay and Lytham St Annes, south of Blackpool, making Lancashire an obvious choice for coastal self catering holidays. Wherever in Lancashire you choose to go, whether you decide to opt for the coast or for the countryside, we hope you find a pleasing holiday cottage for you on Country Cottages Online. Lancashire may appeal to you if you are looking for a romantic cottage break away or if you are looking for a family self catering holiday. Do use our search assistant to help you find self catering accommodation that meets your needs and look out for any late deals or special offers. You can search by the number that the cottage sleeps as well as for other criteria such as short breaks availability and whether or not there is a hot tub or pool. We trust that you will have an enjoyable country cottage holiday in Lancashire. Self catering country cottages, holiday cottages, apartments, country houses and all types of self-catering holiday homes in Lancashire England, UK near a golf course. 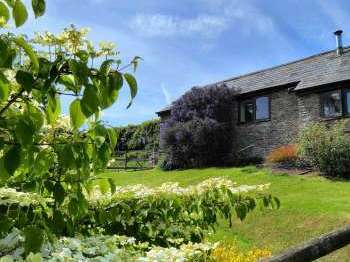 Find holiday cottages in the Lune Valley in Lancashire, rent a cottage in the Vale of Lune and Lune Valley in Lancashire and discover stunning scenery on a self-catering break.